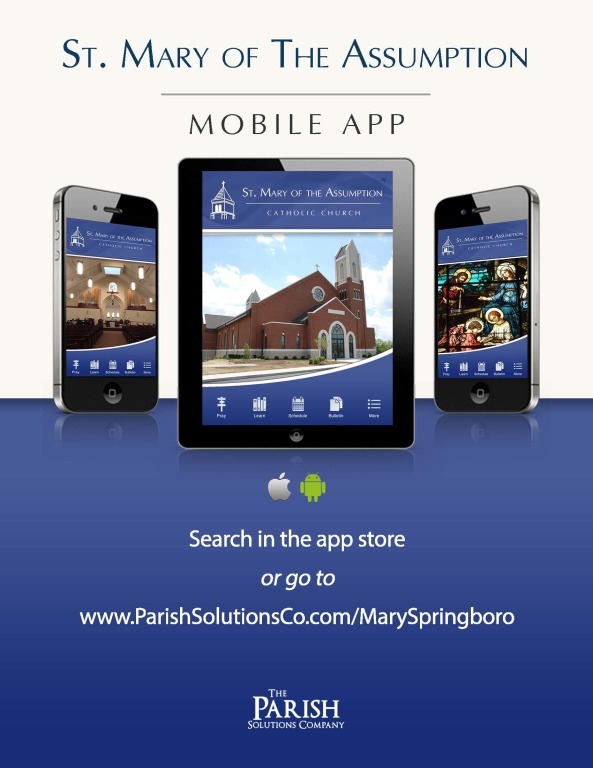 Did you know that St. Mary of the Assumption Parish has an app for your smartphone? This app is available for download in the Android and Apple Stores. The App is PACKED with prayer resources including Liturgy of the Hours, Daily Mass Readings, the Order of the Mass, Sunday Reading Reflections, the Bible, the Catechism, a digital Rosary and on and on. It is also packed with educational resources, parish events, Mass schedules, photo capture tools, discussion boards and more. Search the app store or go to www.ParishSolutionsCo.com/MarySpringboro.